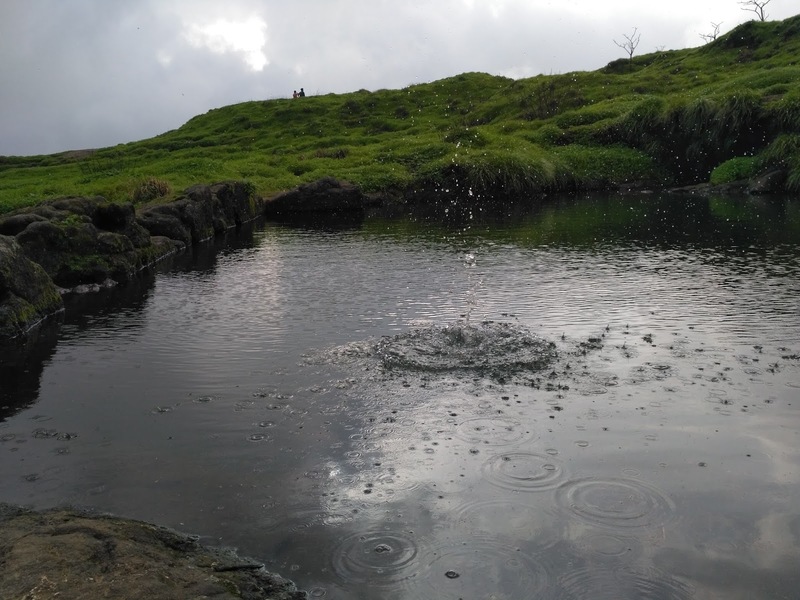 Lohgad Fort Trek... Beautified Experience of History & Nature..!! Are you dying to visit foreign destinations to witness hectares of land with a green cover, foggy mountains? Our India has a lot of places with secret beauty. Yeah.. Secret because during a monsoon season, Rocky mountain range suddenly looks so green & serene as if it has covered itself in a green blanket to avoid being wet. 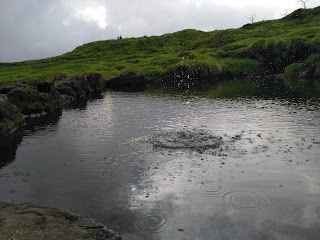 Yesterday, Me & my Wife visited one of such mountain i.e. 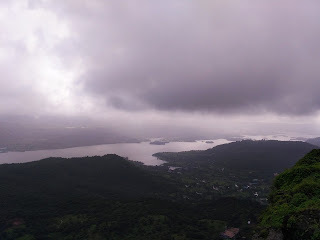 Lohgad. 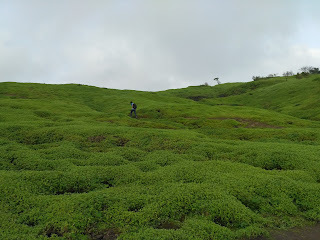 It lies within a vicinity of Two big cities Mumbai & Pune. 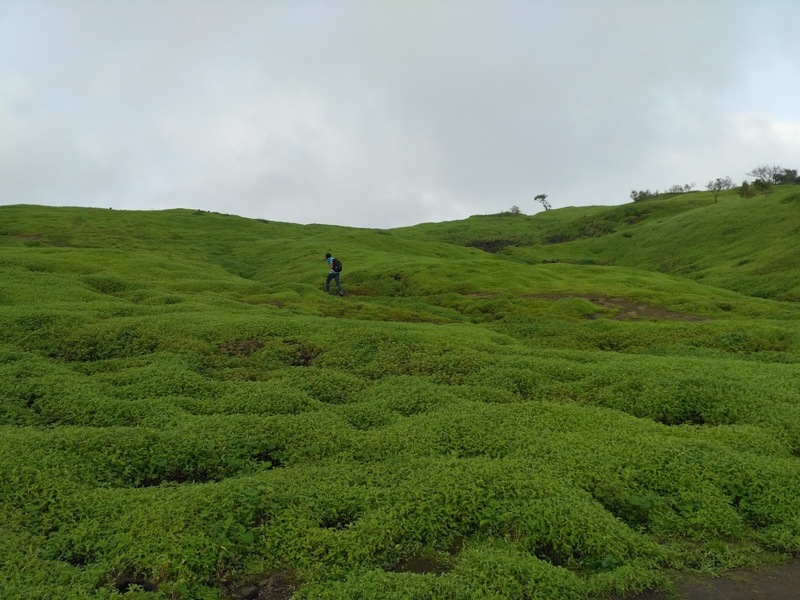 Though from Malavali station there is an option of Share rides up to Lohgad ascent, I recommend you to take a Hot Cup of tea at Nookad, Fold your pants till knee & Starttttttt the trek on foot. I guarantee you that, natural beauty won't let down your decision to walk 06 Km of the mountain. We both are adventurous, so rather than taking regular tar road, we took shortcuts on the mountain. There are small foot paths created by local people. You will find differents types of plants, flowers, birds & you will also be astonished to find how ants can also be architects. 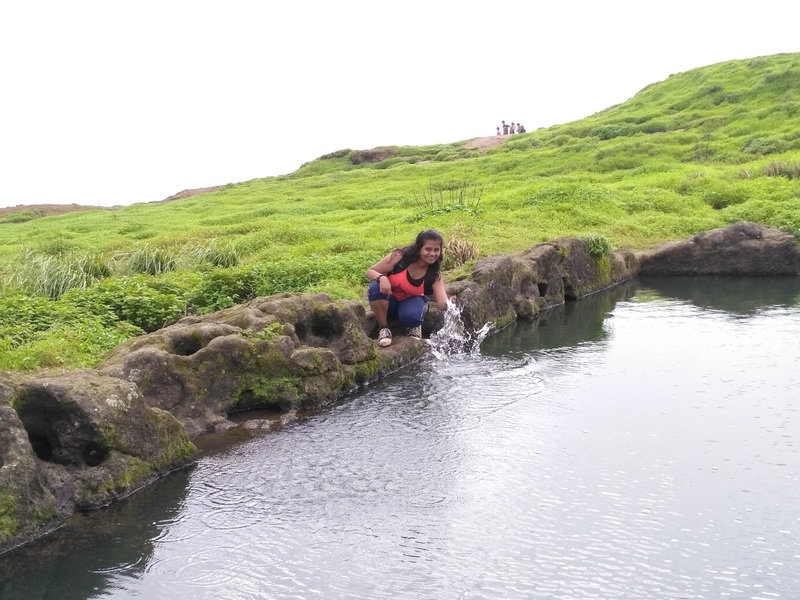 Halfway to the fort, you can enjoy Bhaaje Caves & Spectacular Waterfalls. The caves are approx. 2000 years old & still holds the wonderful sculptural work of Buddhist Monks. It has a grouping of 22 rock carved caves with Chaitagraha having wooden horse shoe design in a ceiling. Can't say enough about how beautiful and impressive these are. My only worry is that it is not being protected well enough. People can literally climb on these monuments that have lasted centuries. When you reach near a base of the fort, there are directions separated for two different forts. One is for Lohgad & Other is for Visapur Fort. I didn't visit Visapur fort due to lack of time, so we better start for Lohgad fort. Tourists have to climb the steps to reach the top of the Fort and takes nearly 30 -40 minutes. When you start to take steps, there are so many street food points available which are run by local people. Historical structures are still intact & strong. It makes you wonder the dedication & hardship taken by our ancestors (Without modern technology). The Fort of Lohgad is itself one the best built forts of the Maratha empire. The fort is so excellently fortified that to capture a gate one has to face attacks from 3 sides of the above fortifications and there are such 4 fortified gates (1. Ganesh ; 2. 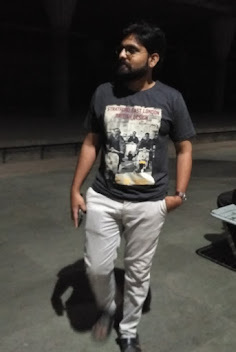 Narayan ; 3. Hanuman ; 4. Mahadarwaja ) making the fort highly invincible. The fort is naturally fortified from its major sides by natural cliffs. 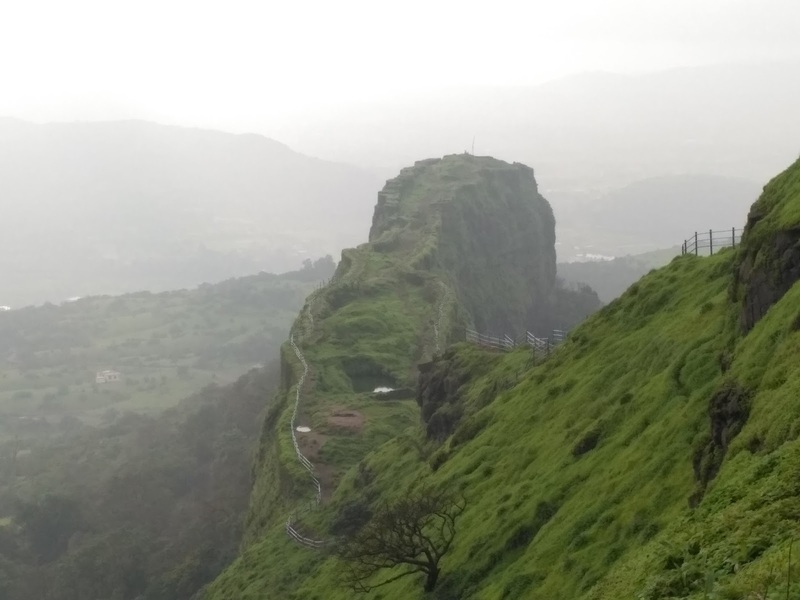 The fort has a long portion of fortified mountain which resembles a Scorpion tail and derives its name from it “ विंचू काटा “. It has a water tank in between which was supposedly used near large canons. This part of the fort served as a place to keep an eye on the places around the fort. The fort has two large water tanks – one octagonal in shape and the other having 16 sides. The fort has grain storages in the bastioned gates itself. - The fort has a long history dating back to several ancient dynasties in the order of their command over the fort: Satavahanas, Chalukyas, Rashtrakutas, Yadavas, Bahamanis, Nizamshahis, Mughals and the Marathas. - Chhatrapati Shivaji Maharaj had captured the fort in 1648 A.D. but had to surrender it to the Mughals under the treaty of Purandar in 1665 A.D.
- The fort didn’t stay in the Mughal hands for a long time for Chhatrapati Shivaji Maharaj recaptured it in 1670 A.D. after his famous escape from Agra. 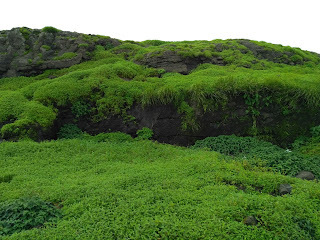 - The fort was used to keep the treasury the Marathas acquired during the “The Loot of Surat”. - Nana Phadnis who was the advisor to the Peshwas renovated the fort by building the outer fortifications making it more invincible by building the Ganesh and Narayan darwaja (gates). - The fort has a tomb of one of the Nizamshahi begum. 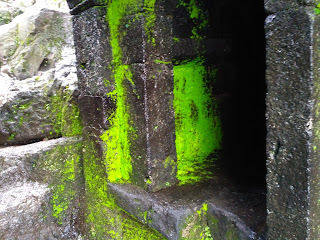 Note: Thank you for visit to my blog and please do visit this fort alos. Please share if you like.